If you are an Instagram user and Bitcoin adherent, then you’ll appreciate this post. We went trough all Bitcoin-themed Instagram accounts and have chosen 5 best ones for you to follow. These are definitely worth your attention! @Bitcoindoc – a documentary about computer programmer Dan. After discovering Bitcoin in 2011, his love and obsession for the cryptocurrency was born, revealing an uncharted world of new possibilities for him to explore. @Bitcoinsberlin – a Bitcoin startup incubator. 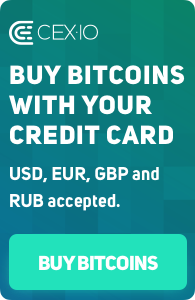 These guys make it easy to start accepting Bictoin with Bitpay. @Bitcoincenternyc – New York’s cryptocurrency education center. @Bitcoiniacs – the world’s first physical Bitcoin exchange. They also have an online global exchange based in Canada. @Bitcoinprice – two to four updates per day on the price of Bitcoin. Useful and practical!